Stories are amazing things when done right. We start off on the outside. A bystander of sorts. We listen. We see ourselves in the characters. We become a part of the story. When we talk about our business, our products or our services, we need to make sure that the customer or potential customer not only sees themselves in the story we tell but also once the story is over, that the story stays with them. 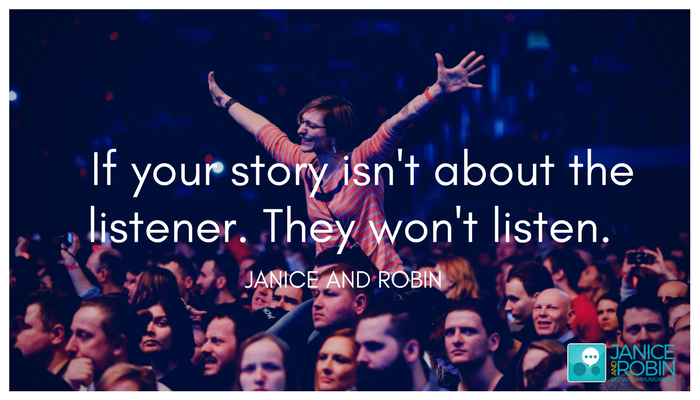 If your story isn’t about the listener. They won’t listen. Call us today to learn how we can help you tell your story.